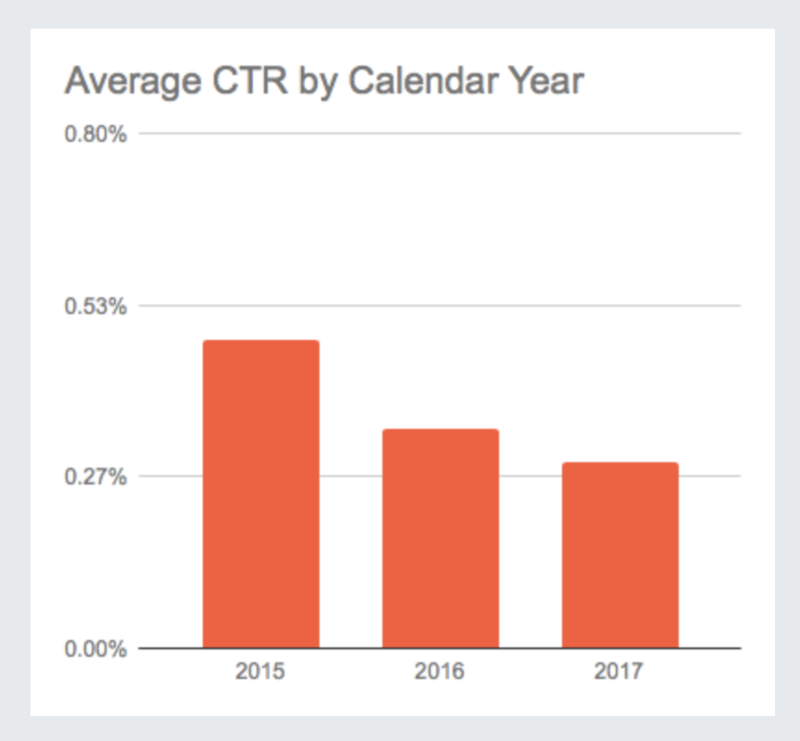 A new report by Extreme Reach takes a look at how video advertising is trending and draws some pretty interesting conclusions from the findings. 3. Advertisers are focusing on completion and are moving away from click-through as a video ad campaign goal. 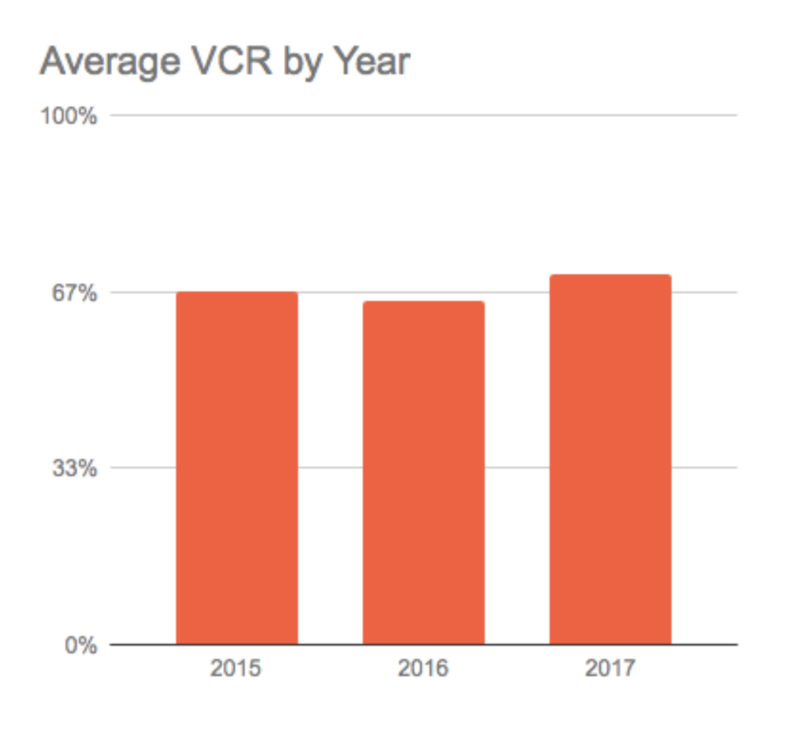 Average Video Completion Rates (VCR) vs Click-through rates (CTR) by year. The report (which you can find here) http://marketing.extremereach.com/2017-q4-benchmarks/cover makes for some fascinating reading (it is also visually quite attractive) and contains some really valuable statistics, especially if you are considering boosting your video offerings as part of your advertising multi-channel coverage and ad mix. For example, the report identified a trend that 15 second video ads were preforming better than longer videos when it came to VCR (completion) and noted that many advertisers have already increased their focus on 15 and 6 second creatives (something that Wave 2’s EasyBuild is particularly good at). 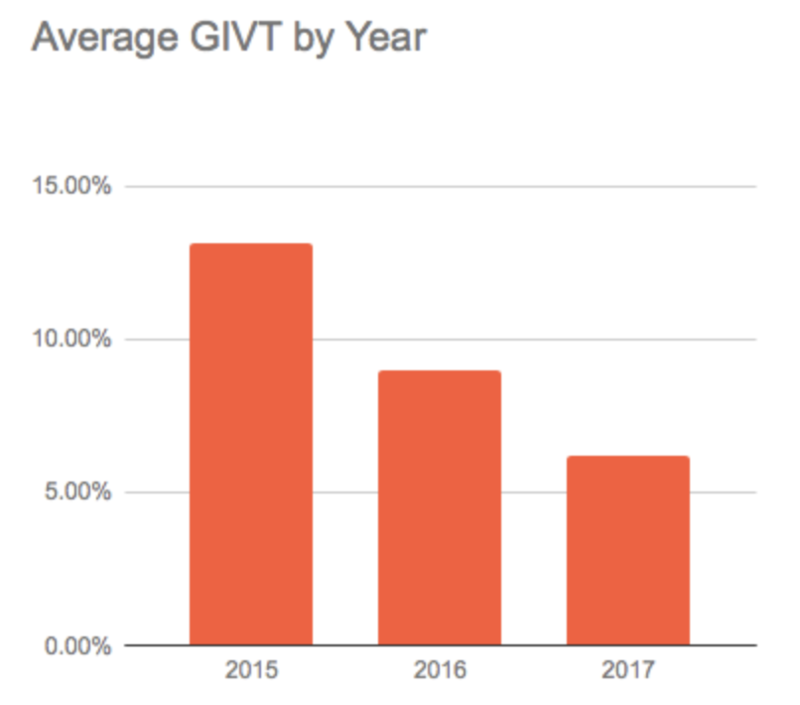 Perhaps the best trend is the drop in Ad Fraud (a 33.8% drop compared to 2016) and the report delves into some reasons why. 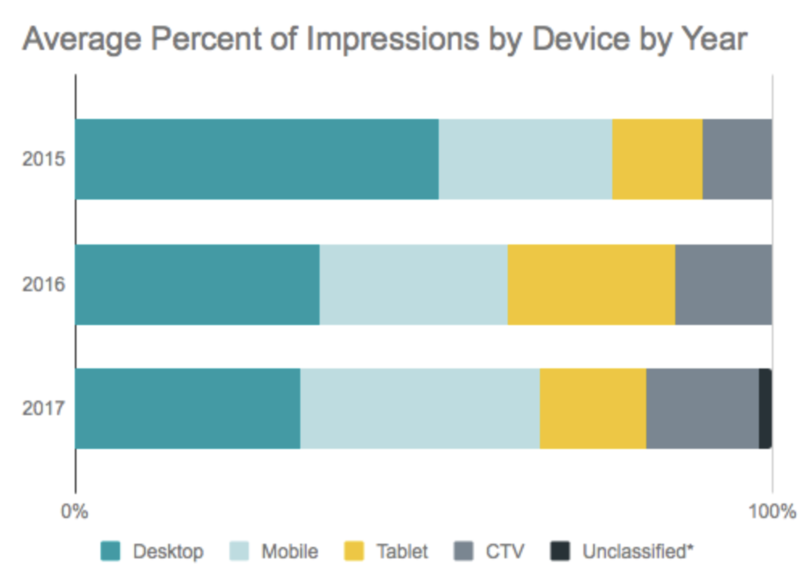 Perhaps not surprising, as we’ve seen this trend across the board, but mobile overtook both desktop and tablet in impressions served in 2017. Interesting to note here that video ads on Connected TV (Roku, Apple TV, Amazon Fire, etc) also saw an increase and the report speculated this is because the technologies to measure this have improved. Much of these findings dovetail perfectly with our Easybuild solution which is all about automating the production process for creatives. Easybuild uses Premier Pro and After Effects for video production and customers are seeing improved deadlines for marketing and other creative materials. The outputs of Easybuild cover the full range of print and digital formats, including HTML5, PDF, MPG and XML. The findings identified in this report make strong arguments for any advertiser who wants to see their business grow. We know that Easybuid can significantly help those advertisers do more with the resources they already have. Why don’t you contact Wave 2 for a demo and see for yourself?